When you have extra weight, it is not uncommon to have extra fat on your arms, commonly referred to as flabby, saggy arms. “I want to get rid of flabby arms, but I have no time to hit the gym!” Is that you? Well, don't worry, as there are plenty of exercises you can perform without a gym, using your own body weight or small pieces of inexpensive equipment. We would like to show you three easy moves that can help sculpt your arms and shoulders. You don’t need much time or space for these exercises, but you should focus and work hard, regularly, in order to see noticeable results. This effective five-minute workout was created by an experienced fitness expert, Jay Sullivan. It consists of easy-to-follow exercises such as arm circles, shoulder presses and triceps push-backs. These exercises focus on strengthening and toning triceps, shoulders and biceps. In order to start working out, you will need a set of light dumbbells. You should do twenty repetitions of each exercise and you should repeat the circle twice. 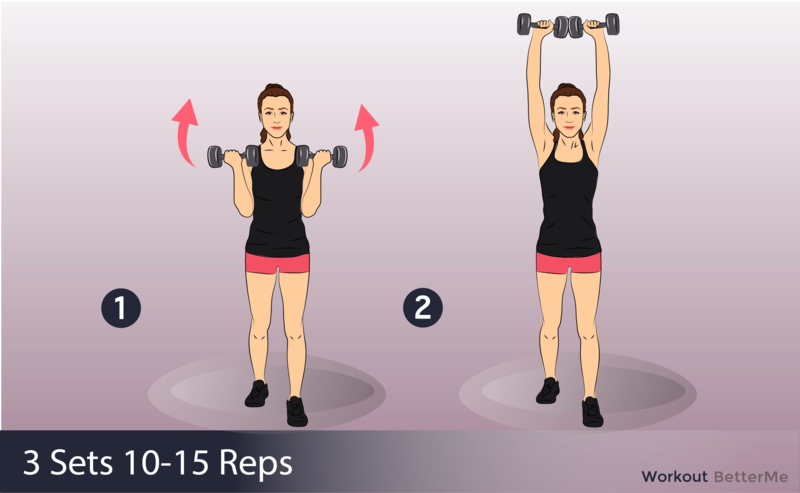 If you want to get rid of flabby arms, you should incorporate these exercises to your training routine or perform this workout four times a week. Are you ready to work out? 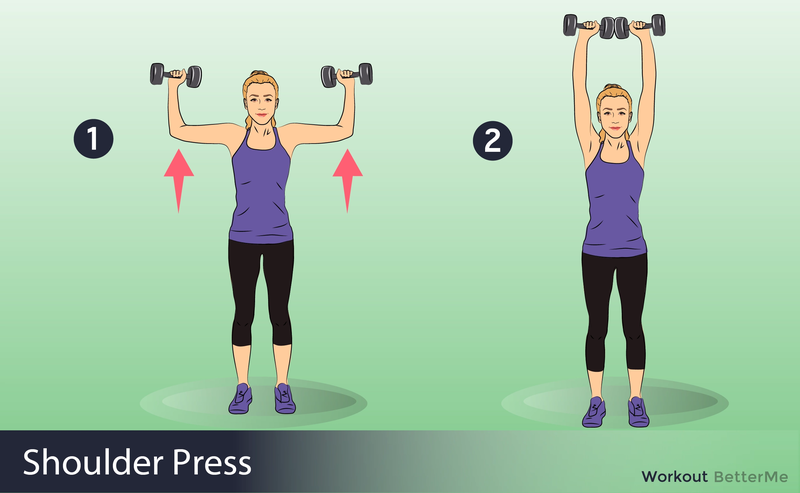 Grab a set of light dumbbells and get toned arms and shoulders with these easy, but effective exercises. Scroll down to read how to perform these exercises correctly to get maximum benefits and prevent bone and joint injuries. Let’s start working out, ladies!